Marilyn Monroe in Gentlemen Prefer Blondes sang it best when she crooned about yearning for the jewelry-making talents of the famed Harry Winston store in New York. In his lifetime the man Harry Winston was called “the King of Diamonds,” “the genius of gemstones,” and “the jeweler to the stars.” For eight decades, the name “Harry Winston” has literally been synonymous with pure glitz, glamour, dazzling diamonds, the rarest gemstones, and most innovative timepieces. But how has the legend perpetuated? The book, Harry Winston, tells all. Harry Winston founded his namesake brand in New York in 1932 and revolutionized jewelry design by buying great collections of estate jewels and transforming precious stones into contemporary pieces that appealed to the most discerning modern customers. This book showcases Winston’s most exquisite creations in captivating advertising campaigns—vintage and contemporary, historic images, and celebrity photos, as well as showing the important stones that once passed through Winston’s hands, including the legendary Hope, Lesotho, and Jonker diamonds. 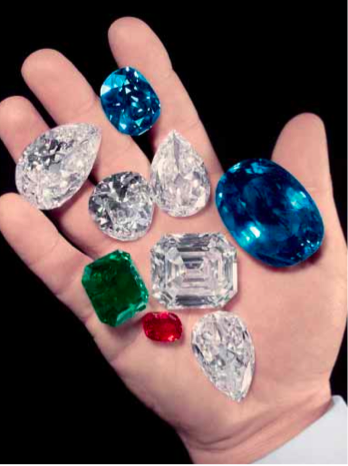 Featuring archival and contemporary jewels and watches worn by beauties including Elizabeth Taylor, Gwyneth Paltrow, Halle Berry, and, of course, Marilyn Monroe—this book offers an irresistible look at some of the most breathtaking jewel creations and timepieces in history. Of course, Harry Winston, Inc. is America’s premier diamond specialist and the most exclusive name in fine jewelry and watch making. 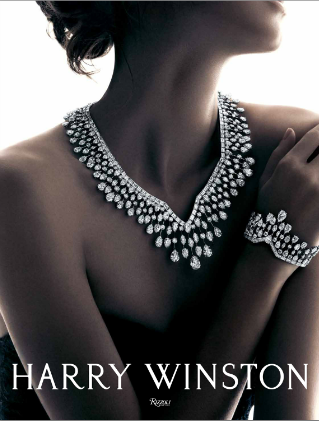 Founded by Harry Winston in 1932, the company is a favorite of royalty and celebrities, and its designs are frequently seen on red carpets all over the globe. Harry Winston has salons in international cosmopolitan locations including the Fifth Avenue flagship in New York, Los Angeles, London, and Hong Kong. André Leon Talley is a contributing editor toVogue, where he writes the monthly “Life with André” column. Rizzoli New York. Available in October at www.rizzoliusa.comand in finer bookstores everywhere. © HARRY WINSTON, Rizzoli New York, 2012.